Whether using the Poynt printer or connecting a peripheral, there are 4 receipt types that can be created and printed using the Poynt Smart Terminal: Payment, Customer, Order, and Item. A payment receipt is printed from the Terminal or Transaction app. 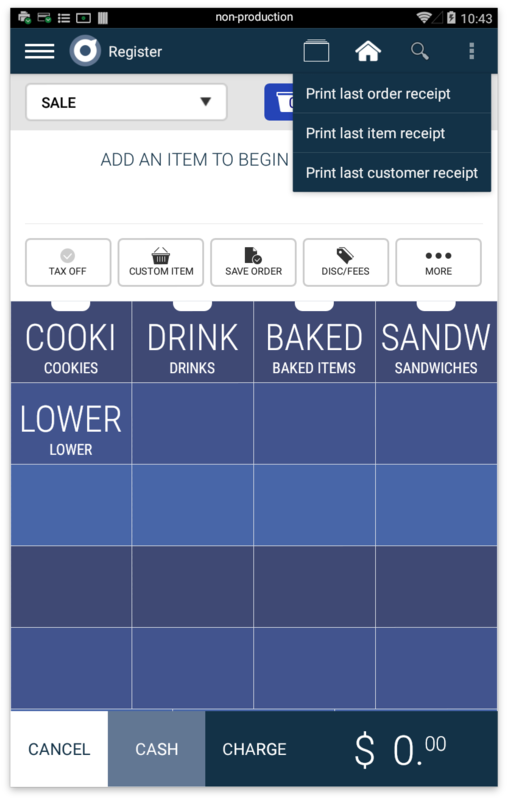 Customer receipts, order receipts, and item receipts may be printed from the Register App. The Merchant may print a Settlement Report directly on the device as well. When a Merchant rings up a payment in the Terminal app and the customer selects “Print” in receipt options, a payment receipt will print. A payment receipt includes the information collected during the transaction, the subtotal, as well as any applicable tips, tax, discounts. 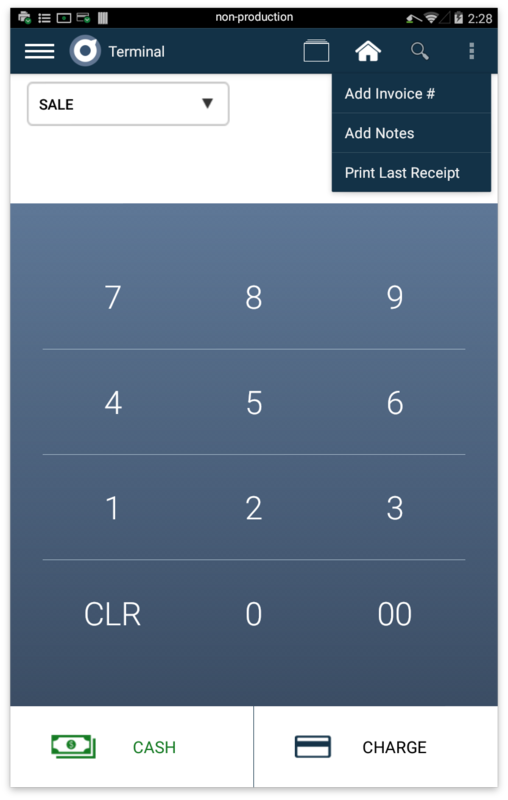 If the customer decides they would like a printed receipt after the initial payment is completed, the Merchant can select the 3 dot menu in the top right corner of the Terminal App and select “Print Last Receipt”. 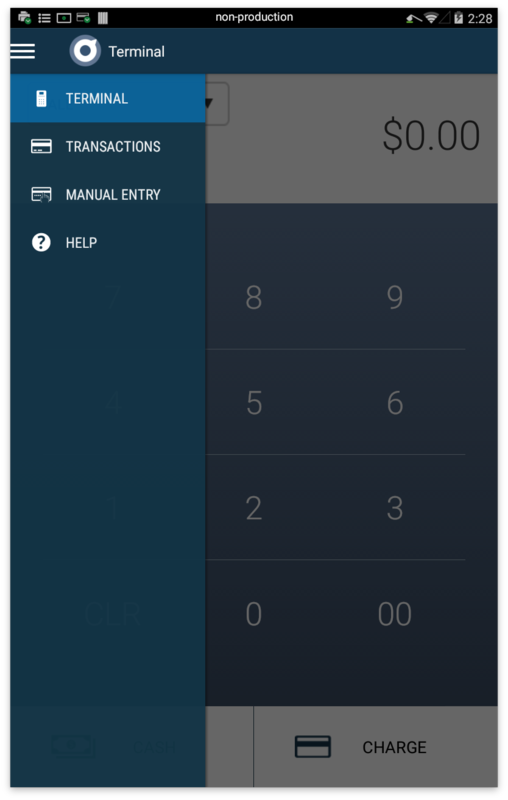 The Merchant may also go to Transactions app, select the payment, and then the “Receipt” tab to print a new receipt. When a Merchant adds items to an order within the Register app, and the customer completes their payment, a Customer receipt is printed. The Customer receipt will display all of the items included in the order processed on Register app, the customer's payment information, and the subtotal with any applicable tips, tax, discounts, and the total. 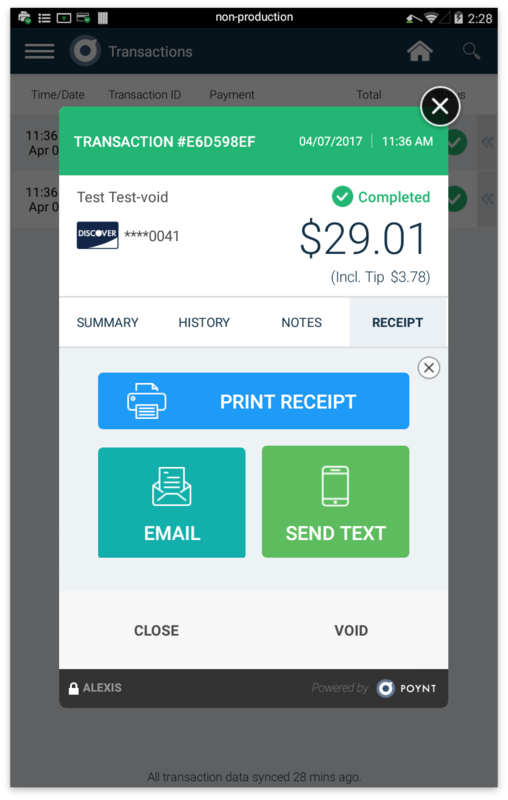 The Merchant can also opt to print a Customer, Order, or Item receipt after the initial transaction by tapping the 3 dot menu in the top right corner of the Register App and select the receipt they'd like to reprint. When a Merchant builds an order for a customer in Register App, they can opt to print an Order receipt. This is useful in restaurants where the terminal needs to print an order to be sent back to a kitchen where the order is then prepared. Example: Customer orders a burger with pickles and a milkshake. The Merchant prints an order receipt and that receipt is then sent to kitchen, where all of those items are made. When a Merchant builds an order for a customer in Register App, they can opt to print an Item Receipt. This is useful in restaurants where there are multiple food preparation stations and a separate receipt is needed for each item. Example: Customer orders a burger with pickles and a milkshake. The Merchant's restaurant has separate preparation stations for making the burger and making the milkshake. The item receipt prints each item separately so a runner may bring the receipt to the proper preparation station. All of these receipt types and their corresponding printers are managed within the Receipt Printer Preferences menu in Settings. If you have additional printers connected, they will be displayed just below the checkboxes. Select or deselect the checkboxes to customize which receipt type will be printed at each printer. Above the connected printer list, you will see two toggles. 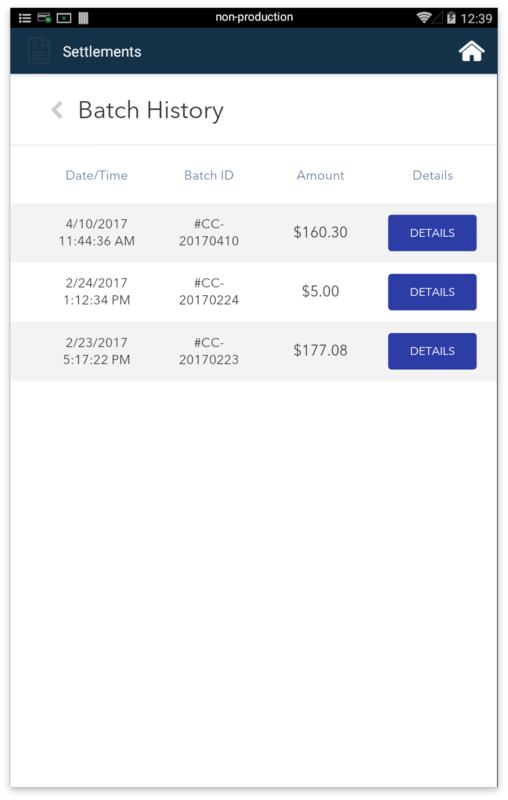 Print order receipt when order is saved - When toggled on, once an order is saved in Register, an order receipt will print. 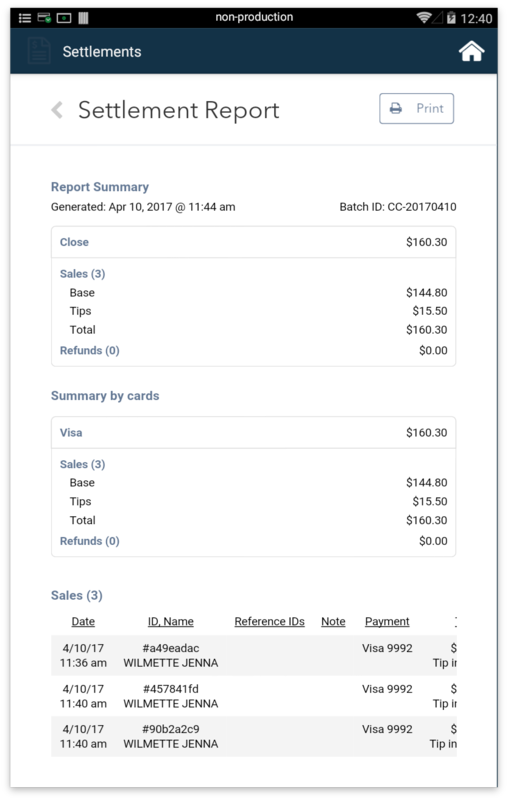 Print order receipt when new order is paid - When toggled on, once an order is paid for in Register, an order receipt will print. The Merchant may also print the Settlement report directly from the Poynt printer. This is helpful to see an end-of-day breakdown of sales and tips and refunds. To do so, simply go to the Settlement app and select "Batch History". View the Details of that batch and then select "Print" in the top right corner to print from the Poynt printer. To print a receipt with a signature line, the Merchant must select "Skip Tip" and "Skip Signature" during the customer's checkout flow. Then, when a paper receipt is printed, the customer will have the ability to write in tip, grand total, and complete their signature.